Endodontic treatment is largely performed on teeth significantly affected by caries, multiple repeat restorations and/or fracture. 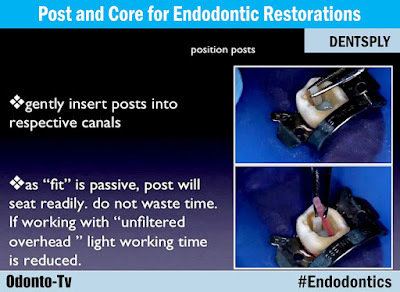 It is therefore accepted that endodontically treated teeth are weaker and tend to have a lower lifetime prognosis. They require special considerations for the final restoration, particularly where there has been extensive loss of tooth structure. The special needs involve ensuring both adequate retention for the final restoration and maximum resistance to tooth fracture. 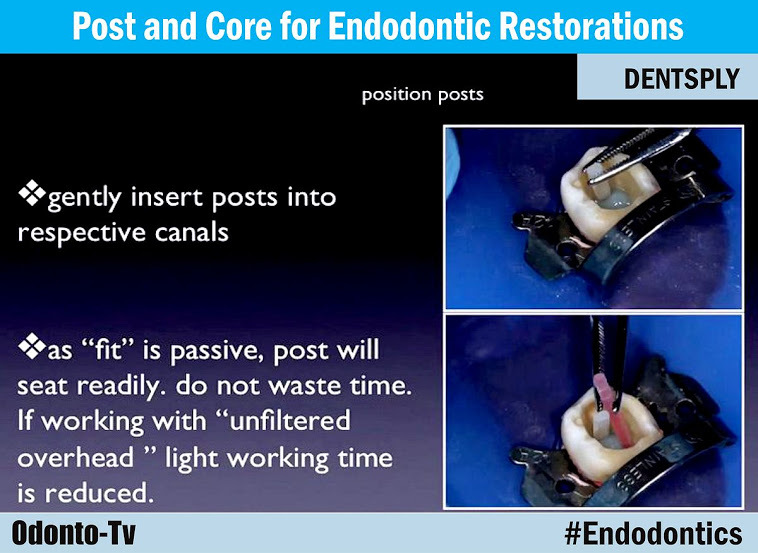 Dr Manny Friedman goes through the materials and steps needed so that a post and core can help provide sufficient tooth structure for adequate retention of the crown.